My success story from a nobody to a somebody who has a respectful position is not through a day's work. It includes lots of hard work and sleepless nights. When I was a small boy in nursery (kindergarten) class, my teacher used to complain to my mother that I am very shy and afraid. When my teacher comes near me I am frightened. I have not much friends due to my poor social skills - My father and mother was always quarelling with each other. This made me a gloomy child. My father was not with me as he was a central govt employee due to frequent transfers. I was brought up by my mother a working lady and also she has to do all the house jobs and also to look after me and my sister. I was a poor and dull child even lacking the social skills. I got a 62 % in my SSLC which is much lower compared to the students of same age and similar facilities. I got admission (even though my father was quite confident of my success) to a BE (civil engineering ) course and I passed with a first class (61%). I became a Civil Engineer which was my life's ambition. Again there was nobody to guide me in my career. 1) I Joined the bandwagon, an e-commerce computer course and joined there as a teacher with 3000 Rs a month salary. 3) I went to a computer drafting company and got 4000 but I left within 2 months - because I could not learn the job. I was unemployed for quiet time. 4) I joined a construction company for 3000 Rs a month. 5) I joined a water supply project as technical assistant with a Christian missionary for 6000 Rs a month - but they did not give me the salary promptly. 7) I joined a real estate developing firm for a salary of 5000 Rs a month. These are all due to my hard work, so much insults during the journey to success, and thanks to some people - I cannot forget in my life. We should work hard. Some times we have to fail in battles for a success in war (I am still in the journey towards higher responsibilities). You must continue to update your real life so that people like me who are searching for something may get something encouraging to read and develop spirit to fight back and not accept defeat even after defeat and continue the hurdle race .This life is a hurdle race where we are destinied to reach the end.Destiny gives chance to stop or leap over the hurdle and if we get afraid of hurdles and stop runing then we will remain where we are and the destiny actualy changes according to our wish and for that destiny is not to be blamed.In this hurdle race the hurdles add spice to life and every effort made to byepass or leap over hurdle gives a fun of crossing barriers of life and become joyful memories.In this hurdle race Its not important to win but important to do the best we can and give 100% honest efficient effort but if we compare ourselves with other we will always find ourselves behind of someone but we generaly dont observe their are many who are behind us. Thanks for encouragement you gave through your experiences. thank u for sharing your journey to success i think it will help me to achieve my goals. as a student".i hope to get some inspiration as am also an engg studnt. I think your story of hardwork, patience and belief in yourself is very motivating. 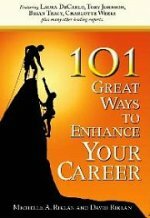 I have many times wondered how far can I go in my career. But after reading your story, I am inspired.